Dokusho no Aki - 読書の秋, or “Autumn, The Season for Reading” is a common saying in Japan, and it’s a popular time of the year for all kinds of themed reading lists to be published. As the days grow colder and the nights get longer here in Seattle, books are a welcome companion. For your fall enrichment, Corinne Kennedy recently shared with us 11 Japanese American-themed books that she recommends this fall: non-fiction titles about Japanese Americans in the Pacific Northwest. The Hope of Another Spring: Takuichi Fujii: Artist and Wartime Witness, by Barbara Johns (2017). Takuichi Fujii was a Japanese artist who immigrated to Seattle in 1906. Incarcerated at Minidoka Internment Camp in Idaho during World War II, he chronicled those years in a unique diary -- a daily record in words and art of what he experienced. It’s been called "the most remarkable document created by a Japanese American prisoner during the wartime incarceration" (historian Roger Daniels) and “one of the most important documents of the American experience” (Dave Davison). Witness to Wartime: The Painted Diary of Takuichi Fujii is a current exhibition at the Tacoma History Museum (through January 1, 2018) that’s based on this work. They Painted from Their Hearts: Pioneer Asian American Artists, edited by Mayumi Tsutakawa, Alan Chong Lau & Kazuko Nakane (1994). This collection is the catalogue of a 1994 exhibit at Seattle’s Wing Luke Museum. It covers the work of 18 Asian American artists working between 1900 and 1960 in the Pacific Northwest. Illustrations include color paintings and black and white photographs. Turning Shadows into Light: Art and Culture of the Northwest’s Early Asian/Pacific Community, edited by Mayumi Tsutakawa and Alan Chong Lau (1982). This collection includes art and literature by Asian Americans – including Japanese Americans – in the Pacific Northwest of the early 20th century, and reveals the richness of their cultural and artistic lives. Cherries, Lanterns, and Gates: Japanese and Japanese-American Cultural Gifts in Seattle's Parks, by Paul Talbert (2014). Written by the president of the board of the local non-profit, Friends of Seward Park, this book reveals the history of “cherry diplomacy” in Seattle. To promote friendship and economic ties between Japan and the Pacific Northwest, gifts of trees and structures (lanterns and torii gates) were made to Seattle’s parks. These included the many flowering cherry trees planted at Seward Park & Green Lake, along Lake Washington Boulevard, and at other Seattle locations. Claiming the Oriental Gateway: Prewar Seattle and Japanese America, by Shelley Sang-Hee Lee (2011). According to the Western Historical Quarterly’s review, "[Lee] does a commendable job of describing the Nikkei community’s role in the history of Seattle. She provides a vivid description of Jackson Street—identified as the Skid Row of Seattle—and the location of Seattle’s Nikkei community. Yet Lee shows the dynamism of this working-class neighborhood— poor yet prosperous, multiethnic, and vibrant .... Lee documents how Seattle’s Nikkei negotiated their lives in productive and self-affirming ways that benefited themselves and their community while contributing to the overall growth and development of the city." Divided Destiny: A history of Japanese Americans in Seattle, by David A. Takami (1998). Takami’s work covers more than a hundred years in the history of Japanese Americans in Seattle – both before and after their unjust internment during World War II. His concise history is enriched by first-person narratives and photographs -- discovered in family albums as well as historical archives. In Defense of Our Neighbors: The Walt and Milly Woodward Story, by Mary Woodward (2008). Walt & Milly Woodward were the publishers of the Bainbridge Review, the community newspaper of Bainbridge Island, and used this platform to protest the World War II internment of their Japanese American neighbors. Theirs was one of the few voices to do so. This 2008 work, written by their daughter, is richly illustrated with historical documents and photographs. Shirakawa: Stories from A Pacific Northwest Japanese American Community, by Stan Flewelling (2002). Beginning in the late 19th century, Japanese immigrants settled in the White River Valley, which they called Shirakawa, an exact translation of “White River.” This fertile valley southeast of Seattle became an important center of Japanese American agriculture: by the 1920s, more than 50% of the state’s Japanese American farms were located there. Flewelling’s book chronicles their efforts to develop family support systems, community & cultural organizations, religious & educational centers, and job opportunities. It records the story of their community’s growth as well as its destruction during and after World War II. 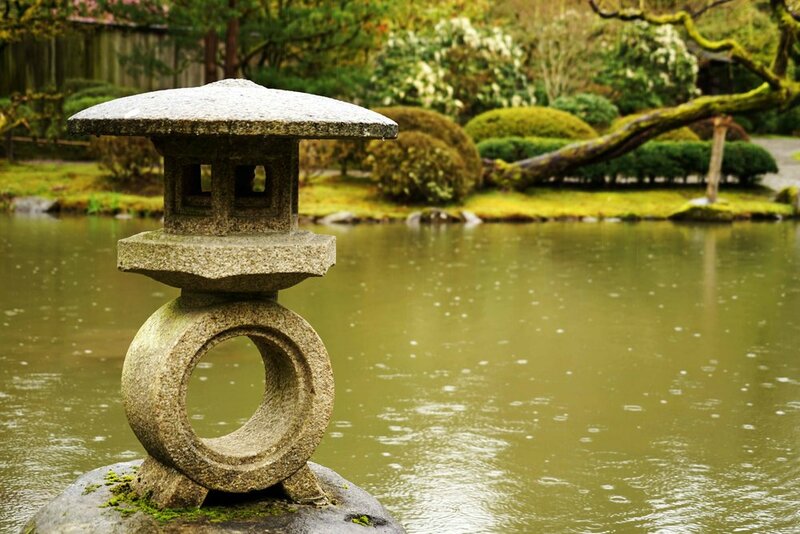 Note: for works on Japanese gardens & garden design, and Japanese American fiction with Pacific Northwest settings and/or themes, see last year’s “Autumn, the Season for Reading” blog article. Corinne Kennedy is a Garden Guide, frequent contributor to the Seattle Japanese Garden blog, and retired garden designer. Thank You for Being Part of the Maple Viewing Celebration!